Which type of hair removal suits you? There are lots of options for removing hair from your body. Some are gentler, some quicker, some more thorough and others work for longer. We will help you to decide on the best one for you – based on your needs. Shaving is one of the most popular hair removal methods. Our tip: shave in the shower, as hairs can be cut most efficiently when they are wet and therefore soft. In addition, you should change the blades regularly to prevent the skin from being irritated or injured. Removing hair with wax removes the hairs along with the roots. This method is suitable for all body parts and can be done at home with cold wax strips or warm wax – for around 4% of women, hair removal using wax is the most popular method. With electric epilators, small rotating tweezers or discs pull out body hairs. It twinges a little, but it does mean that the hairs are removed along with the roots and don’t grow back for around 2-4 weeks. Which hair removal method is the right one for you? If you are looking for a thorough hair removal method that doesn’t hurt or take up a lot of time, you should choose the classic wet razor method. However, the hairs that are shaved off with a razor directly on the surface of the skin grow back again within 1-3 days. For those who dream of having smooth legs for weeks, but aren’t afraid of a little pain and don’t have sensitive skin, an electric epilator is the right choice. For a cost-effective method for smooth skin lasting 1-2 months, we recommend waxing. Hot and cold wax kits are very suitable for home treatments. Do you want to have smooth legs and armpits quickly but are worried about hurting yourself with razor blades? Then you should try out hair removal creams. Those who want to get rid of troublesome hair permanently will find that laser treatment is the best choice. Hair removal creams and gels work with ingredients that dissolve keratin, causing the hair to disintegrate quickly and completely without pain. To remove the hair, apply the cream to the areas of the body you wish to treat and leave it for approximately 10 minutes. Then the cream and the hair can be simply removed with a spatula. The hair grows back after 5-7 days, but somewhat softer than before. Take care if you have sensitive skin, if it is wounded or if you have sunburn! Our tip: test your tolerance first on an inconspicuous area of your body, such as the crook of your arm. Approximately 7% of women prefer an electric razor to remove their unwanted hair. Its shaving heads glide gently over the skin and cut the hair directly on the surface of the skin. This works simply and quickly, but has to be repeated after only 2-3 days. If you want to remove your body hair permanently then you should consider laser treatment. This involves light impulses penetrating deep into the skin, heating the root of the hair and destroying it. The skin and tissue are not damaged in the process. However, this type of treatment should only be carried out by an experienced professional or dermatologist. No matter how much of a hurry you are in – you should never do without using a shaving gel or foam when wet shaving. These ensure there is a film on the skin that allows the blade to move more smoothly. They also usually contain ingredients that soothe the skin before it is shaved. If you use such products when removing hair, you will avoid wounding the skin, causing redness or small spots and will be able to delight in having wonderfully smooth and silky skin. Our tip for epilation and waxing: these work best when the skin is dry and free of oil. So do not apply cream for 24 hours in advance on the areas of the skin that you wish to epilate.No matter how much of a hurry you are in – you should never do without using a shaving gel or foam when wet shaving. These ensure there is a film on the skin that allows the blade to move more smoothly. They also usually contain ingredients that soothe the skin before it is shaved. If you use such products when removing hair, you will avoid wounding the skin, causing redness or small spots and will be able to delight in having wonderfully smooth and silky skin. Our tip for epilation and waxing: these work best when the skin is dry and free of oil. 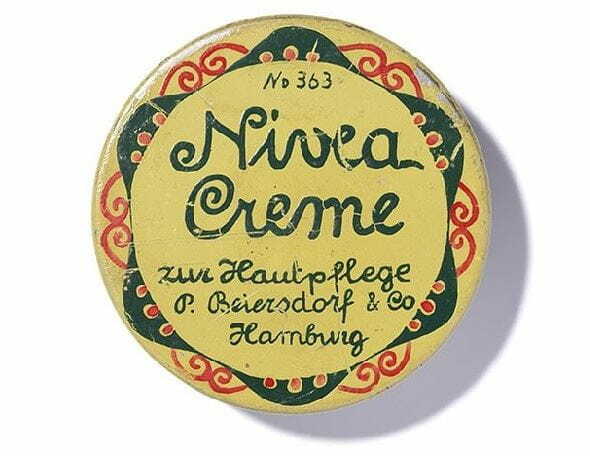 So do not apply cream for 24 hours in advance on the areas of the skin that you wish to epilate. Every method of hair removal causes stress and strain on the skin. It is therefore all the more important to prepare it well for hair removal and to treat it with an extra dose of tender loving care afterwards. You should not expose your skin to the blazing sun immediately after hair removal. This will help to prevent irritations caused by increased perspiration. Frequently removing the hair stresses the skin and it removes moisture and oil. It is important to apply a good layer of cream to the skin after disinfecting. Our tip: choose a body lotion that contains soothing ingredients like chamomile or panthenol – such as NIVEA Repair & Care Body Lotion. The skin is particularly delicate in the armpits and dries out quickly or begins to itch as a result. A deodorant can help after hair removal: NIVEA Double Effect Violet Senses Spray with avocado extracts can protect the skin from irritations. Ingrowing hairs are unpleasant but unfortunately a frequent consequence of hair removal. Exfoliating regularly prevents dead skin cells from blocking the hair shaft and allows the new hair to grow. Our tip: Scrubs ensure that the skin is made wonderfully smooth even whilst you are still in the shower.